Birthplace : Wilkes-Barre, Pennsylvania, U.S.
Edward B. Lewis was an American geneticist, a corecipient of the 1995 Nobel Prize in Physiology or Medicine. American geneticist Edward B. Lewis began experimenting with Drosophila melanogaster (fruit flies) as a hobby while still in his teens, when he responded to an ad in the back pages of the journal Science and ordered Drosophila cultures by mail. Alongside his high school classmate and friend Edward Novitski (1918-2006), who also became a prominent geneticist, Lewis devoted his spare time to observing fruit flies under his microscope. He spent the next seventy years of his life examining, manipulating, breeding, and experimenting with these small insects. In 1942, while still an undergraduate, he developed the cis-trans test, a means for determining whether two recessive genes are on the same gene or on two different genes. In a 1957 study with Drosophila, he calculated the increased risk of leukemia brought about by exposure to radiation. In numerous later studies, Lewis crossbred countless fruit flies, and in 1964 he discovered the correlation between the arrangement of genes on the chromosome to specific body segments, a genetic layout later shown to be widespread across animal species. In 1982 he identified the "master control" gene clusters that are crucial to early embryonic development, and in subsequent work he identified the corresponding genes in humans. Lewis won the Nobel Prize for Physiology or Medicine in 1995, shared with Christiane Nüsslein-Volhard and Eric F. Wieschaus, who conducted related work independently. He was a modest man, who referred to his research as "our work" even though he conducted most of his studies alone. He delighted in costume parties, loved attending opera, and kept tarantulas, toads, turtles, and octopuses as pets. Lewis continued working with Drosophila until his death, submitting his last published article on the topic a month before succumbing to cancer in 2004. 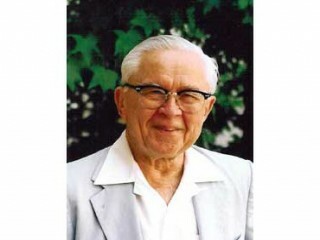 View the full website biography of Edward B. Lewis.